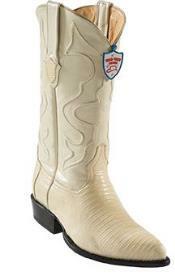 High on comfort, high on style, high on quality low on budget, low on maintenance are the key features of Men’s White Cowboy Boots which are creation of age old craftsmanship. The boots are made with latest technology to give you ultimate support and special cushion insole with reflex forepart will give maximum comfort. The men’s snakeskin cowboy boots are made of premium leather with double stitch welt which make them strong enough to undergo extreme wear and tear. Our range of white boots is a perfect combination of technology and comfort which come in latest designs. Each boot is handcrafted with passion and creativity. The pristine white colour gives a modern yet classy look to the boots. White coloured boots are back in fashion and these boots will particularly brighten up your outfit. The boots come with decorative stitching in contrasting colours to plain pearly white finish. You can go for shiny finish to matt finish whichever suits your personal style and personality. You can match these up with a pair of beige or white trouser or your very cool jeans to look chic and ultra cool. We have a wide range of styles to choose from with classic high boot shafts and angled heels to shorter modern boot shafts with ‘roper’ heels. The high boot shaft is fully leather lined and hugs your leg perfectly. The well fitted boots will not slip from your feet and will also not hurt your feet. You can choose from high heels to shorter walking heels , angled to roper heels with rounded toes to pointed ones as well as squared toes are available in our range. The rugged dual density midsoles of the boots are built to perform. The Men’s White Cowboy boots are easy to maintain and clean as they are water and oil resistant and feature an abrasion resistant outsole. These exotic cowboy boots will protect your feet from the chilly winter in style. The boots look sleek and smart and do not look bulky when you wear them. Very well crafted range of boots which are an investment for a lifetime. Just follow the simple instructions of storing in clean dry place and see these boots stay forever new. You can wear them to any outdoor activity of horse riding, hiking or hunting as well as to indoor activities like parties, celebrations, or just shopping. They are must buy to make your wardrobe complete. Well, don’t worry about the price as it is easy on your pocket, too. It comes in various price ranges. We have a pair for everyone. Some selective items have special offers and special festive season deals on them. You can either buy for yourself or gift them to your friends and family. It is a perfect gift to surprise your loved ones this festive season. These boots are a practical choice which you can wear to your work as well as to your evening at the local pub with your friends. So, what are you thinking of grab your pair today.